College students Eric and Lydia are looking for a novel way to spend Halloween. They decide to put together a documentary about the supernatural and take a camcorder into the long-abandoned house on Kenwood Drive. It's said that a vengeful spirit lives there, and Lydia thinks it the perfect location. Eric, though, has his reservations. 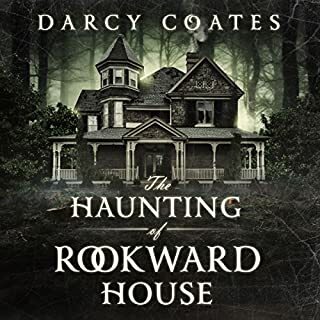 Having grown up in the area, he's familiar with the stories of the spirit they call the "Upside-Down Man", and as their trip to the house draws near, his fear begins to mount. According to the rumors, once you go into the house, you bring the Upside-Down Man out with you. And in three days' time, you disappear. 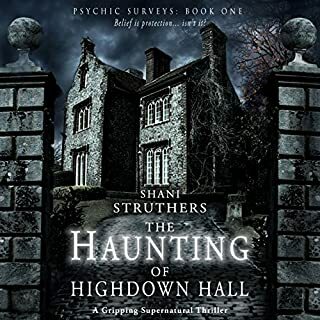 When the two of them begin to see and experience strange things, they launch into a frenzied search for truth, attempting to separate the myth of Kenwood House from the reality. But it turns out that untangling the threads of local legend is more difficult than it appears. Especially when you've only got three days. I really loved the story! So much so that I listened to it all in one sitting. The reason I gave a 4 instead of a 5 is that I didn't feel it wrapped up the ending as well as it could've. I have a love/hate relationship with cliff hangers. But I really hope there will be a second book. I loved that the name given to the mysterious entity in the book, "Upside Down Man". 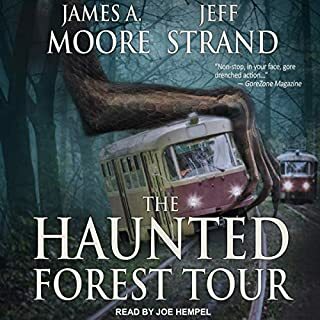 I loved how the author took the idea of "what if an urban legend turned out to be completely real". A very freighting thought. I'm glad that the author created its own character with its own mythos. Kept it fresh and new. What a fun spooky adventure that was! This was an entertaining ghost story. 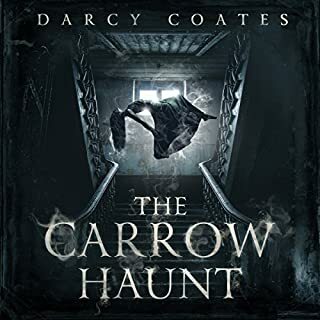 The plot seemed very familiar and a bit predictable (kids go into haunted house against all warnings to make a documentary.....), but I enjoy ghost stories and stories of haunted places, so I was able to look past that and just enjoy the ride. 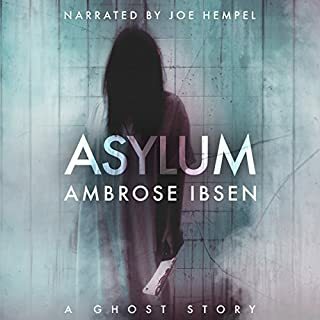 I listened to the Audible audio version of this book narrated by Joe Hempel, and he did a good job giving everyone a unique and consistent voice. 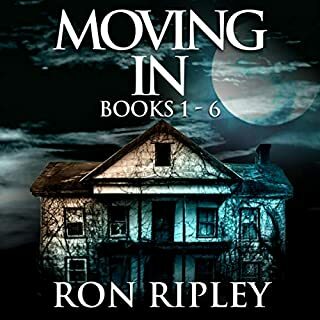 Overall, an entertaining story for fans of the paranormal. Loved It!!!! Hooked from beginning to end!!! From the very first chapter I was hooked! Very scary stuff. I actually had a very bad toothache the couple days I was listening to the book. But not once during the book did I think of it or anything else except the story. It held my complete attention the whole time. 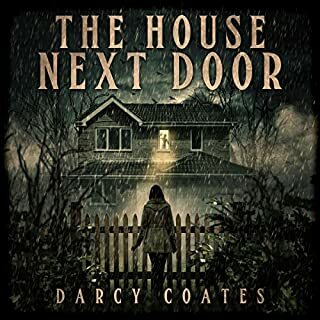 If you like haunted house stories this is for you. I would absolutely recommend this book to anyone who wants a quick scare. I was given this book by the author for an honest review in return. This is a ghost story that has Ambrose's this flare all over it. 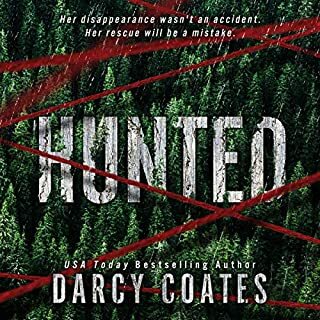 This is the fourth book I have listen to from this author and I really enjoy her work. She definitely has her own style of writing, which I adore. 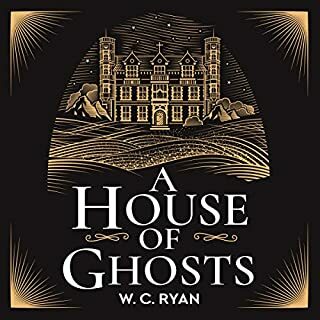 This is a ghost story but definitely had me scratching my head towards the end of the story but then I realized: it was an excellent twist! You have done it again. 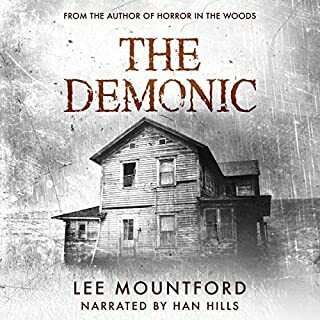 I would recommend this book to anybody who likes a creepy ghost story. 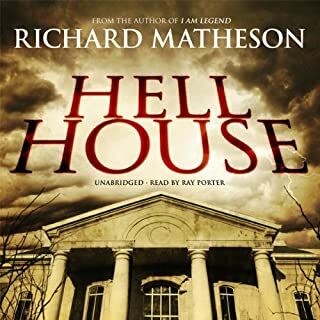 I could not stop listening to this book. Although the story line was something that isn't necessarily new, the narrator kept me on the edge of my seat. He was able to tell the story in a way that kept it interesting, a bit scary and definitely entertaining. Don't get me wrong, the story is good and worth listening to. Great ending! 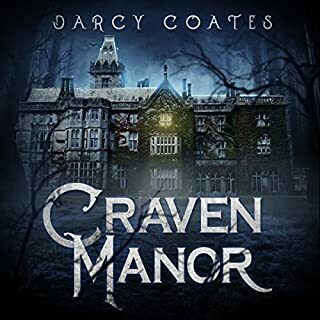 This was a good story that gave me what I expected - young adults behaving the way they do in horror movies, mysterious deaths, scary tension, a sense that the clock is ticking. Some readers were dissatisfied by the ending, but the only qualm I had about the ending was 'why not upside down'? (anything more about that question here would be a spoiler). I could easily see this play out in a movie, which was what I was looking for when I started listening to the book. 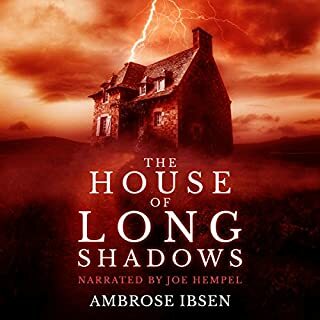 I've listened to Joe Hempel narrations before and I think he does best when the hero character matches his voice and tone; here, it did. I could easily picture our hero the way the author described and consistently with the narrator's tone of voice. Very creepy book! Eric and Lydia decide to check out this creepy house and the urban legend of the upside-down man. Legend says that if you enter the house, the upside-down man will follow you for 3 days then he takes you in your sleep. Lydia wants to film a documentary of the house, hoping to prove there is something more after we die. What they find is just scary! 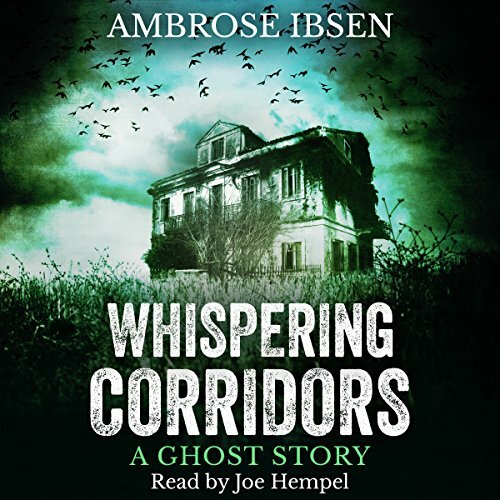 Excellent book by Ambrose Ibsen and great narration by Joe Hempel! I am a Joe Hempel fan and this is definitely one of my favorites! 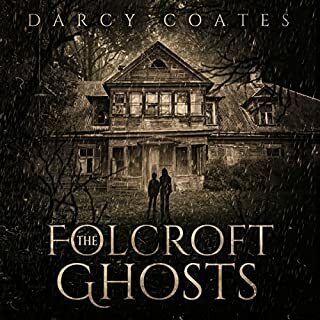 This creepy ghost story that tells the tale of two teenagers who try to make a documentary about a local urban legend and end up getting more than they bargained for. 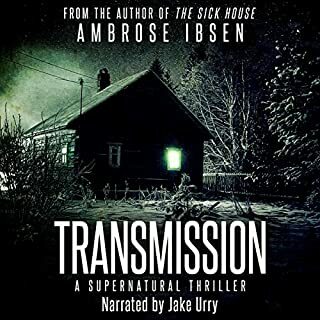 This audiobook will keep you entertained and will defiantly gave you the chills, though the ending does kind of leave you hanging a bit, but maybe there is a second book in the works. 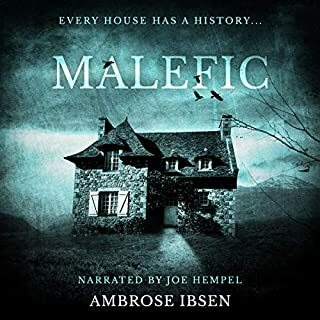 Hemple's narration brought out the suspense in the story well and combined with the authors descriptive writing, you get scary visuals playing across your mind. It is somewhat reminiscent of the Blare Witch Project but with more story and less running. I think what made this scarier was that the upside down man was more like a sinister supernatural disease or curse rather than a physical entity. I'm sure this story would have made a good Twilight Zone episode. This. Was. AWESOME! Perfect amount of creepiness, good characters, good flow, and excellent plot. 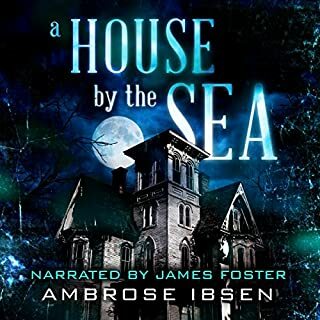 This was very well put together, one of the best ghost stories I've heard/ read in a long time! And very cinematic; I would watch the crap out of a movie made from this. The narration was spot on, too, and only added to the overall experience. Superbly done! 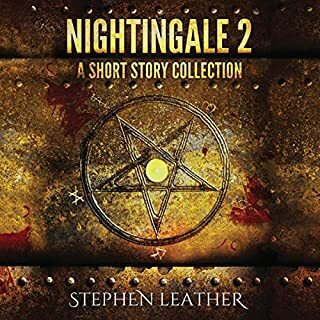 Like ghost stories? Like haunted houses? Into local legend type things? Read this. Bob says: 5 platypires and one of my favorite things this year! !